After a long and exhausting first day in Scotland, we awoke refreshed and ready to tackle our second day. 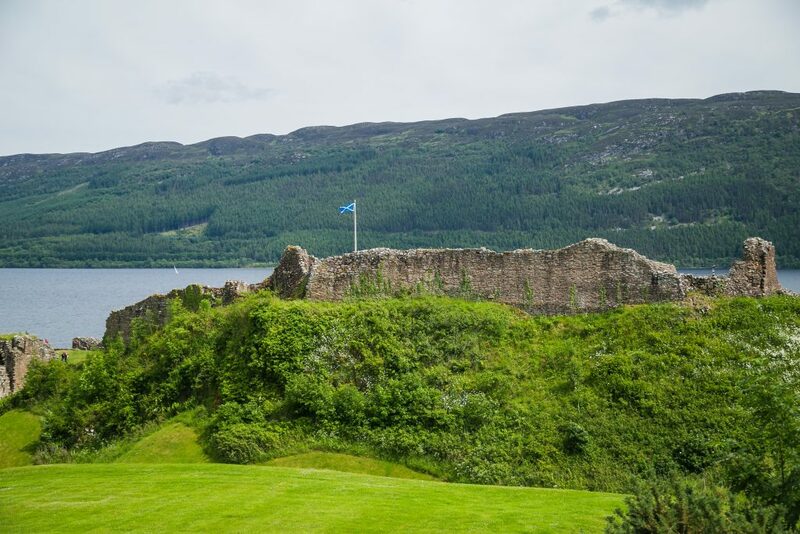 Our original plan had been to take a tour of the Scottish Highlands and I spent a fair amount of time researching the wide variety of options at our disposal. Instead, we decided we would be best suited to rent a car and explore the beautiful Scottish countryside at a pace of our own making. Though there is much to be said about the simplicity and ease of a tour, but for our purposes, having our own source of transportation made more sense. We grabbed a quick breakfast at the hotel, then loaded our bags into a taxi and made our way to pick up our rental car. The taxi driver tested our alertness as he nearly dropped us off at the wrong car rental. Apparently Europcar and Enterprise were the same in his mind. Once we sorted out the confusion, our first order of business was to pick up our vehicle and grab a GPS to get around the Scottish countryside. Unfortunately, the agent informed us that, despite arriving first thing in the morning, their location was all out of GPS devices. Lesson learned: If you’re planning on picking up a GPS or any accessory with your rental, always secure it in advance so you don’t run into any problems the day of! Hopping into our little Toyota AYGO, we hit the road in search of a gas station where we could secure an old fashioned road map. I’ll be the first to admit that I can manage directions fairly well as long as I either: a.) know the area I’m in or b.) have my Google Maps app in hand. Fortunately for me, Julie has a long history of using maps and loves doing so. With a map to lead the way, we set out on our journey north. After several wrong turns (tricky roundabouts!) we were finally on our way. My biggest fear about driving on the wrong side of the road, from the wrong side of the car, was figuring out how to safely navigate all the roundabouts that the United Kingdom is so well known for. And sure enough, that was one of our biggest problems in trying to get out of the city limits. Quickly trying to read road signs while paying attention to traffic and a map, is actually quite difficult! It ended up taking us almost an hour to get to the main motorway we needed to head north to the Highlands, thanks in large part to those damn roundabouts! Once we had managed to make our way to the main motorway, we set out sights on the city of Inverness. From Edinburgh, it’s about a three hour drive to Inverness. In our minds, it would be a good place to make a quick stop before continuing on to our bed and breakfast further north. 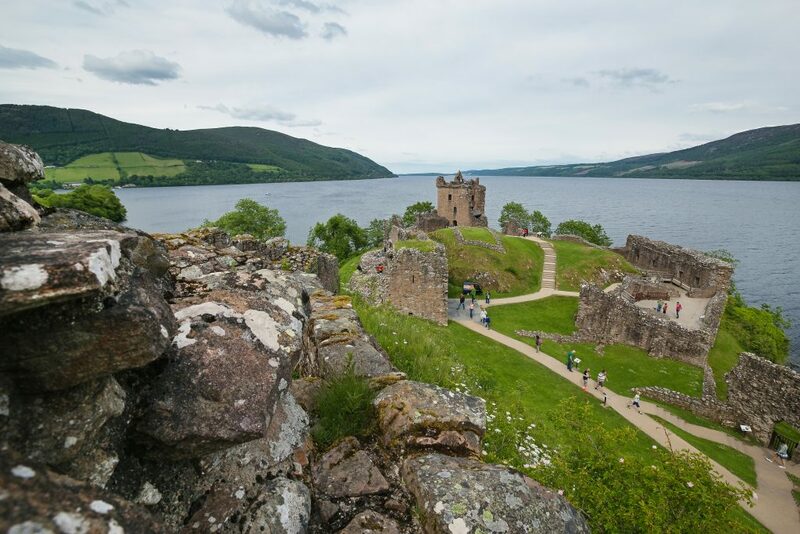 Rather than stop in the city, we pushed on, eager instead, to visit the famous Loch Ness. 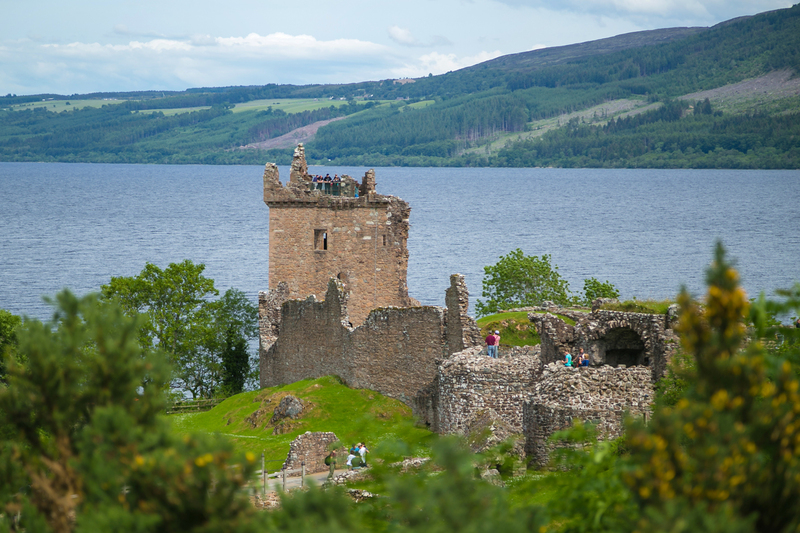 On its banks, sits the ancient castle of Urquhart. 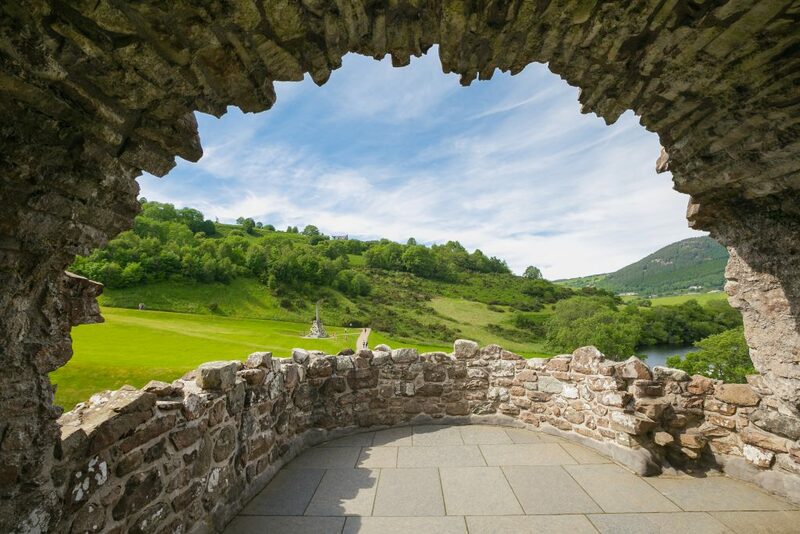 Home to several kings and numerous clans throughout its history, the castle is mostly in ruins at present after years of battle at its gates. As was to be an upcoming theme of our trip, the day was warm, so we spent time walking around and taking in the sights before jumping back in the car and heading onward. 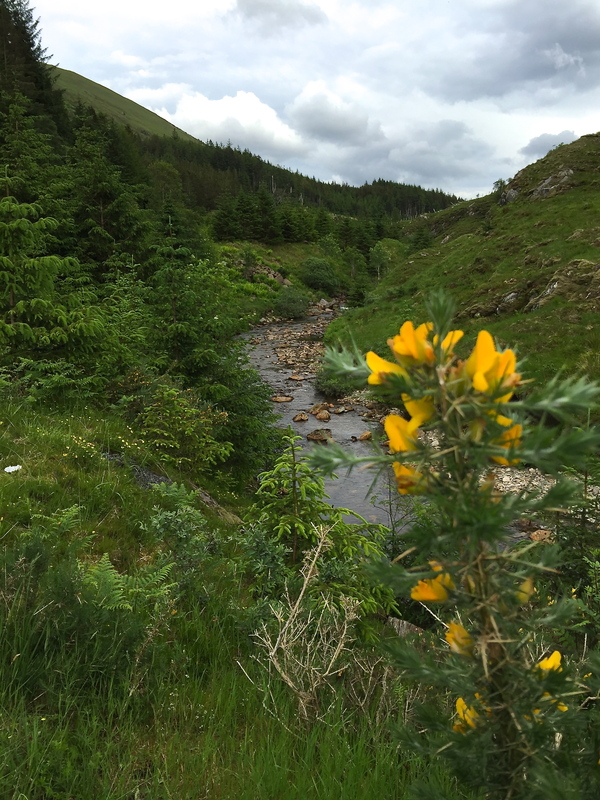 Driving through the scenic highlands, we encountered seldom few cars and breathtaking sights at nearly every turn. As it grew later in the day, we pushed on with the goal of checking in at our bed and breakfast and then finding a local spot for dinner. Driving past Eileen Donan Castle, we contemplated making a pit stop there to take some photos, but opted to come back the next day when we would have more time. 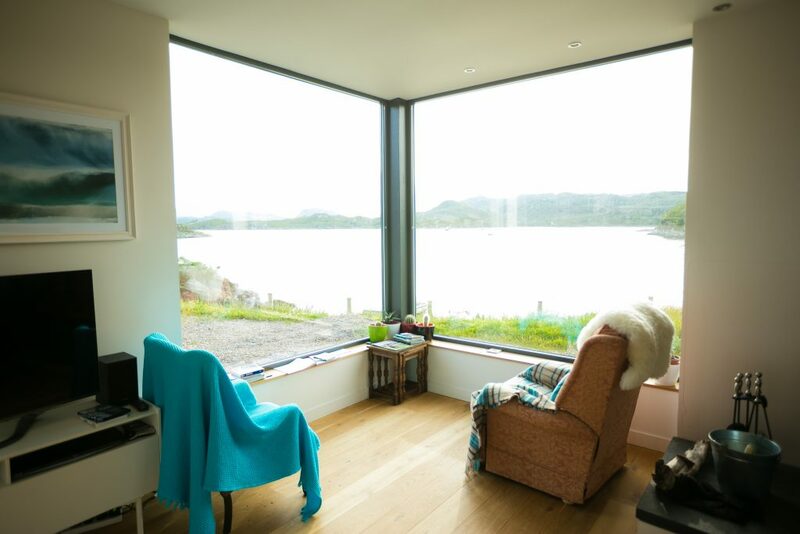 Our bed and breakfast, The Barley House by the Sea, was located in the small village of Kyle of Lochalsh. Perfectly situated near the bridge to the Isle of Skye, this made for the perfect stopping point at the end of a long day of driving. 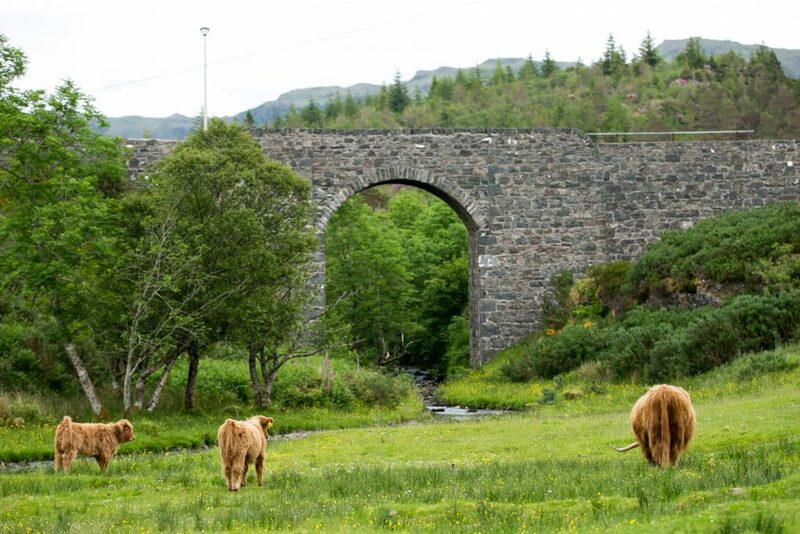 The roads in much of the Highlands are very narrow and even more so when you drive through small towns and villages. Heading back to the Barley House, we drove along one car roads, pulling into small passing pockets to allow cars coming in the opposite direction to get by. While it seems funny to have such narrow roads, there always seemed to be a place to pull over whenever the need arose. The final road leading to our destination was a dirt road that included passing over cattle grates and nearby grazing sheep. 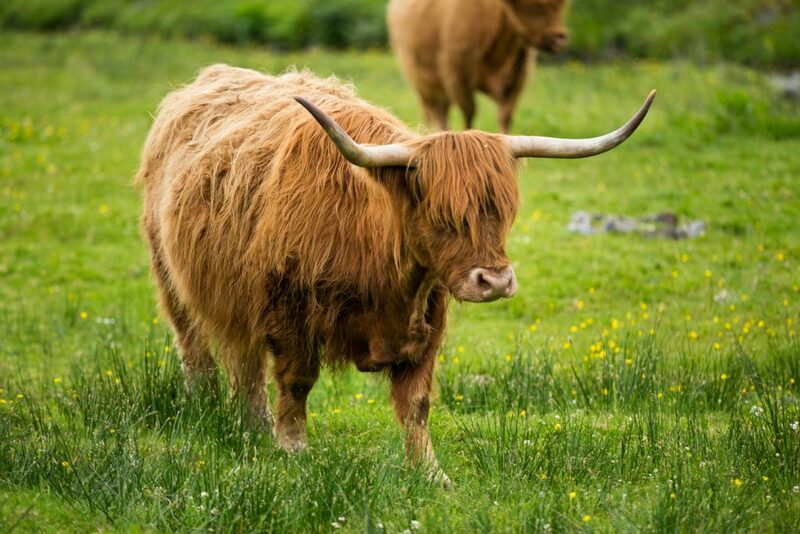 We were even lucky enough to encounter some of the famous Hairy Coos doing as they pleased, which included walking in the middle of the road. 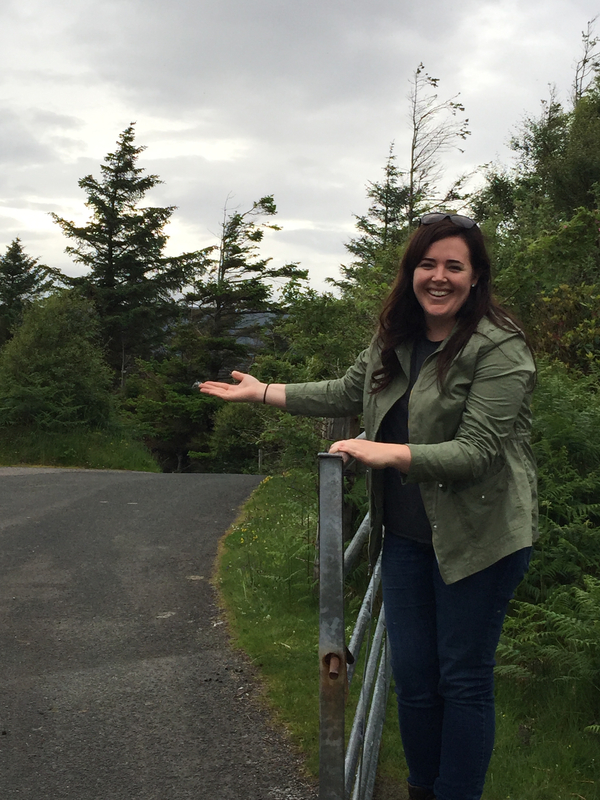 The final obstacle to getting to the Barley House was passing through a gate, which Julie demonstrates below. When at last we had arrived, we parked and met our host (and her little dog) before settling in to our room. The Barley House was a great selection as they are situated right on a beautiful lake. Our host Lynne, was fantastic and explained to us a bit about the area and some things we could do while on the Isle of Skye the following day. She also offered us tea and coffee along with a recommendation for dinner. After finishing our tea, we headed out to a quick dinner in a nearby village. Though it came well regarded by our host, our meal was disappointing as we hoped to get a good feel for the local cuisine. At the end of the dinner, we headed back to our home for the evening, bypassing some sheep who seemed quite unhappy to move off the road they had overtaken. Lynne, who works as a local photographer, in addition to hosting visiting tourists, chatted with Julie about their craft while I relaxed in the living room. Before long, it was time for bed as we needed to get an early start for the long day of driving that lay ahead. Day one on our tour of the Scottish Highlands did not disappoint, and day two was arguably even better.